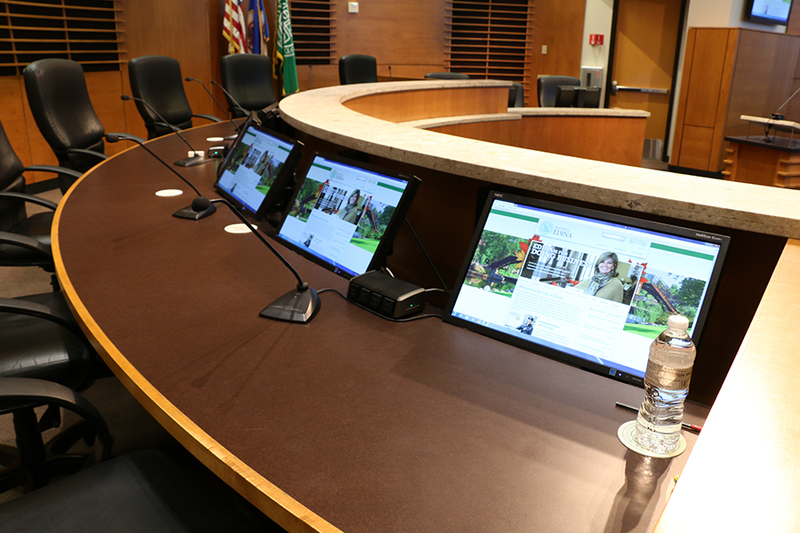 Now that the work has been completed to upgrade the council chambers and the adjacent AV control room at Edina City Hall, Edina is one of the first cities in Minnesota to have the ability to broadcast all of its programming in HD video. 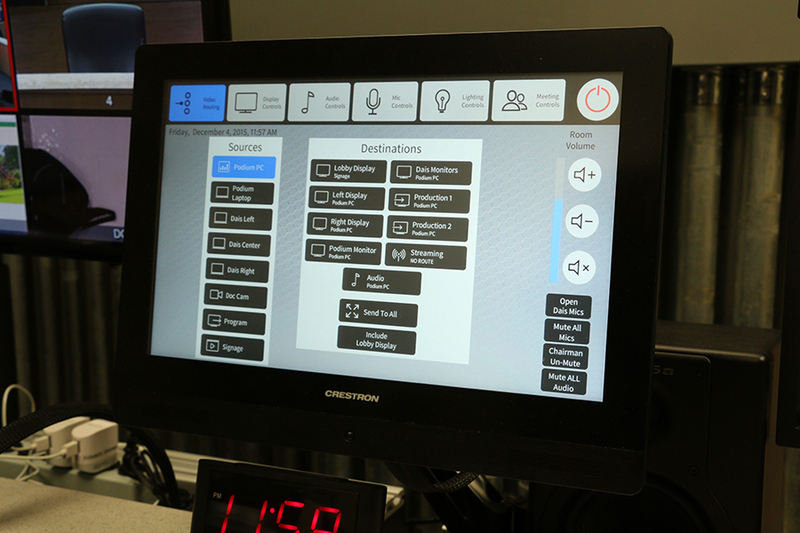 In place of the typical standard-definition recording system, the AV control room now has a high-definition recording system, which will allow City Council meetings as well as other meetings to be recorded and broadcast with improved quality. Alpha Video was responsible for replacing all of the cables, cameras, production switcher, and video distribution equipment. The most labor-intensive part of the project was installing all of the cabling that runs through the walls of the chambers. The new high-definition system allows PowerPoint presentations and photos in the Council Chambers to be displayed in high-definition, making it easier for meeting participants, those in the audience, and viewers watching at home to read. City of Edina programming is cablecast on channels 16 and 813 for Comcast cable subscribers. Channel 813 is the high-definition channel. "We have had a high-definition cable channel for a few years. Until now, everything except meetings had been broadcast in HD. Now with the new equipment, even meetings are broadcast in HD. We are one of just a few cities in Minnesota that is fully HD,' explained Scott Denfield, Video Production Coordinator for the City of Edina. The Mayor’s conference room was upgraded with a Panasonic 5000-lumens projector and a Da-Lite screen. The other conference rooms were upgraded with Sharp 60” multi-touch, interactive whiteboards. 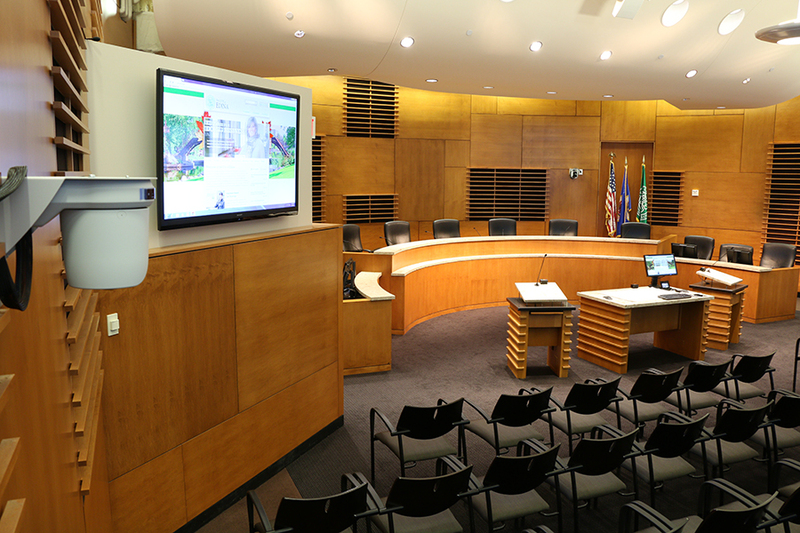 The council chamber upgrade included a Crestron control system and five Sony HD PTZ cameras. The council room control room now includes a Ross Video CrossOver Production Switcher. 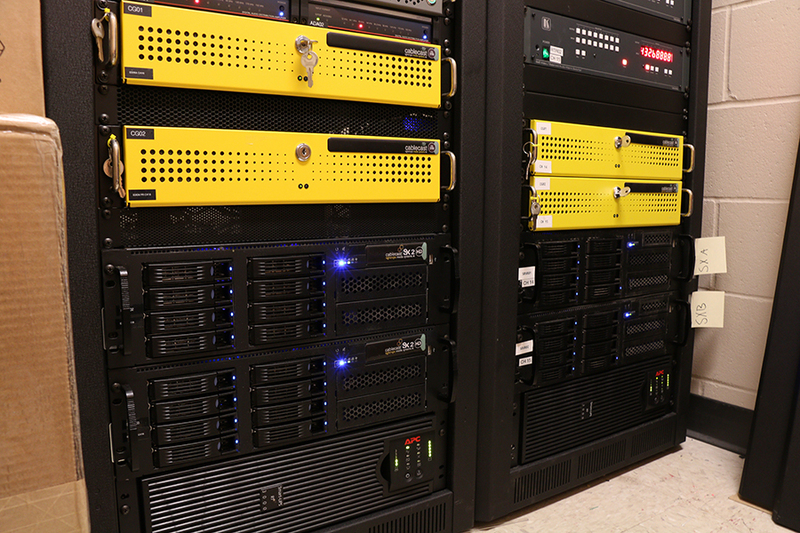 Alpha Video took charge and made sure that as issues came up during the installation, they were quickly solved. Time and time again we come back to Alpha Video because we have such a good experience with them on projects.